Step 1. 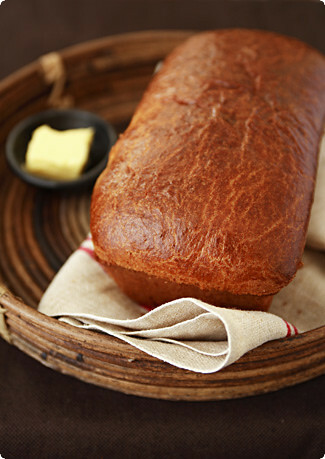 Establish your relationship with brioche. The first – and undoubtedly most crucial – step in your quest to make perfect brioche is to fall utterly, completely, soul-consumingly in love with it. Without this emotional foundation, you will not have the necessary motivation to persevere to the end. Chances are this will happen the first time you taste it, and thus you may have already completed this step. If you’ve tasted it and not fallen in love, something has gone wrong; you have probably been exposed to a bad batch, so head out again to a reputable dealer, buy the freshest specimen you can lay your hands on, and take a bite. If you still find yourself lacking in love, it is best to abandon the project now. For everyone else, move on to step 2. Step 2. Assess your equipment deficit. If you have, as instructed, truly fallen in love with brioche, you will reach a point where you want to take the relationship one step further by making it yourself. The first thing you must do at this point is check your cupboard for the presence of a KitchenAid® stand mixer. If you find one, and it appears to be in working order, proceed directly to step 4. If you do not, you must heed this important warning: where brioche is concerned, no amount of determination can make up for the lack of the aforementioned KitchenAid mixer. You may try your hand at producing brioche without it, but this is not recommended, for two reasons: (1) not only will your brioche be a dismal failure, but (2) you will be forced to live without the use of one or more of your arms for the next week (which can significantly detract from the quality of your non-briochemaking life). This may trigger feelings of hopelessness and self-pity as you suddenly realize that all other brioche-lovers in the world seem to be in possession of a KitchenAid mixer – this is normal. You do, however, have two options. 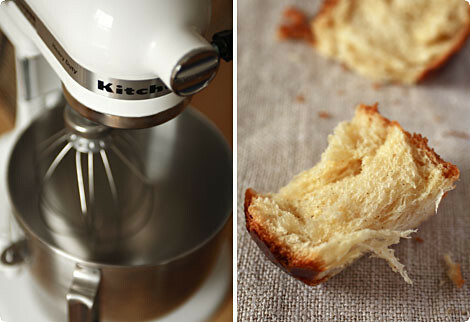 If you are on amicable enough terms with a brioche-loving KitchenAid-owner to request a loan, you may do so – perhaps in exchange for a finished loaf or two. If, on the other hand, you are not (or if by some cruel twist of fate you only know fellow brioche-lovers through the internet), it is time to bite the bullet and buy your own machine. Just be aware that biting the bullet may mean eating canned beans on toast for the next six months. But at least it will be canned beans on brioche toast. a. Seek out a KitchenAid mixer that is described as having something wrong with it, but only something minor. The last thing you will want is to send your new purchase away for repair as soon as you receive it. A small cosmetic defect is ideal, for the simple reason that ebay bidders are as predictable as they are shallow, and it is a proven fact that if an item for sale is in non-perfect condition, many of your fellow bidders will not want it, thus your competition will be less and the end price lower. If you can find a specimen that is described as "in perfect working order but missing the little cap that covers the attachment hole and prevents dust from settling inside when not in use", so much the better. b. Whatever you do, play dirty. Ebay is not for the timid, the nice or the morally upright. Decide how much you are willing to pay for this slightly defective machine, set up camp (with no distractions!) in front of your computer to monitor the final half hour of bidding, and then – pay attention here – submit your bid in the last ten seconds to prevent anyone else from outbidding you. You will not win any other way, and it is better to be the owner of a KitchenAid than a nice person. You have brioche at stake, after all. Step 4. Make your first batch.You now have your beautiful new KitchenAid, in verified working order (apart from that silly little cap, which you discover costs just $3.99), and a recipe or two to guide you. You don’t even have to be particularly picky about which recipe you use – at least not at this point – nor do you have to follow it carefully, for reasons that will become clear in a moment. Do, however, spend as much money as you can on top-quality beurre d’Isigny, free-range farm-fresh eggs and organic unbleached flour, just so you feel suitably guilty when what results from this first attempt is only marginally edible. It is this guilt that will spur you on, when what comes out of your oven crumbles away in your hand like a dry poundcake instead of a soft, fragrant and pillowy bread. Do not despair at this point, however, just chalk it up to experience and move on to step 5. Step 5. Make your second batch. Armed with the bitter taste of disappointment (and a few extra inches in the waist, since by god, you weren’t about to throw that first disaster away! ), assemble the ingredients again. This time you will meticulously follow a recipe from a reputable source, ignoring all those other recipes you’ve dug up from equally reputable sources. Soften your butter to just the right stage of squishiness, temper your milk just enough to dissolve the yeast, and follow timings for beating, resting, rising and fermenting as if your life depended on it. Tentatively coddle and caress your dough, looking for the signals it sends at every stage to let you know it’s ready to be gently assisted to the next one. When, at the end of two long days of labor, you pull a burnished-brown loaf out of the oven that is on the road to somewhere but clearly not the brioche destination you intended, you may feel a twinge of despondency. Of course you eat this batch too. Step 6. Make your third batch. Repeat step 5, only substitute another equally reputable recipe, and this time when it does not work out, hang your head in utter despair, wondering how you could have ever loved a bread that seems to want nothing more than to evade, foil and humiliate you. be rewarded with the most jaw-droppingly beautiful brioche imaginable: long, lacy strands of gossamer bread that separate with a gentle tug; a delicate interior that doesn’t crumble, but instead softly exhales as it collapses together under the weight of your teeth, and flavor that is yeasty, buttery, nutty and subtly perfumed by a mosaic of tiny black vanilla seeds. You will want to cover both your KitchenAid and your golden loaves with kisses, but your mouth will be too full. Epilogue. Share your success with the world. And give them the recipe that you wish you’d been given so you could have avoided this whole rigamarole in the first place. Source: adapted primarily from The Secrets of Baking by Sherry Yard and Baking with Julia by Dorie Greenspan. Notes: This is a recipe for medium-rich brioche which I prefer to slightly richer versions for its improved workability and better structure. 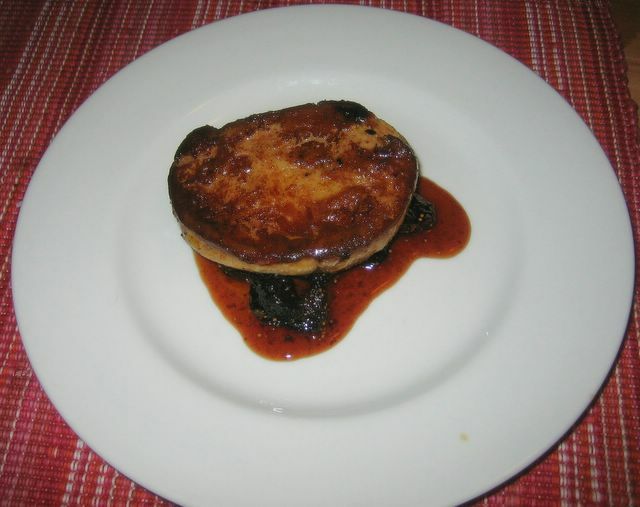 You’ll notice my unconventional use of browned butter in it – I tried this on a whim and was more than pleased at the deep, nutty flavor it provides, but you can certainly substitute softened, unbrowned butter. Likewise, as my favorite way of eating brioche is plain, for breakfast or a snack with a cup of coffee, I prefer mine slightly sweeter than many recipes make; for a more savory brioche simply halve the sugar and omit the vanilla beans. And in all seriousness, my brioche disasters taught me that there is one technique that is absolutely crucial to achieving the right texture, which is is the technique described by Nancy Silverton in Baking with Julia. You must beat this dough to within an inch of its life before you add the butter – a full fifteen minutes on medium speed – in order to get those beautifully delicate, lacy strands so coveted in this king of breads. No matter whether your mixer protests, grows hot enough to fry an egg on top, or even starts to smell funny (though if you see smoke you should probably give it a rest), you must not skimp on the beating. Trust me. Split the vanilla beans down the middle and scrape the seeds with the tip of a knife into a skillet. Toss in the vanilla pods in too and add the butter. Turn the heat to medium. Swirling occasionally, bring the butter to a boil and keep it boiling until the solids turn chestnut brown and everything smells deeply nutty. Do not let it burn. Remove from the heat, remove the vanilla pods pour into a heatproof bowl or container (scraping in all the vanilla seeds and browned butter particles), and refrigerate until solid, about 2 hours. Remove it from the refrigerator about twenty minutes before using it. To make the sponge, put the yeast, milk, and flour in the bowl of a heavy duty mixer. Mix the ingredients together with a rubber spatula, mixing just until everything is blended. Cover the bowl with plastic film and set aside to rest for 30-40 minutes. During this time it should bubble up, your indication that everything is moving along properly. Add the sugar, salt, eggs, and remaining flour to the sponge. Set in the mixer, attach the dough hook, and mix on low speed for a couple of minutes, until the ingredients come together in some semblance of a dough. When everything is incorporated, turn off the mixer, cover the bowl loosely, and let the mixture rest for 5-10 minutes. Uncover, increase the mixer speed to medium and beat for 15 minutes, stopping to scrape down the hook and bowl as needed. During this mixing period, the dough should come together (clearing the sides of the bowl), wrap itself around the hook and audibly slap the sides of the bowl. If it doesn’t after about 8 minutes, sprinkle in more flour, a tablespoon at a time (to a maximum of about 1/3 cup), until it does (this partially depends on the amount of sugar you use; if you use the full amount you will probably need to add some extra flour). In order to incorporate the butter into the dough, you must work it until it is approximately the same consistency as the dough. If it has softened enough, you can easily do this by working it with a fork or spoon until no lumps remain. With the mixer on medium-low speed, add the butter a couple tablespoons at a time. This is the point at which you’ll think you’ve made a huge mistake, because the dough that you worked so hard to make smooth will fall apart. Don’t panic – just carry on. When all of the butter has been added, raise the mixer speed to medium again and beat the dough for 5 full minutes, or until you once again hear the dough slapping against the sides of the bowl. When you’re finished, the dough should feel somewhat cool, and be shiny, slightly sticky and very elastic. Transfer the dough to a large oiled bowl, cover tightly with plastic wrap, and let it rise at room temperature until doubled in bulk, 2 – 2 1/2 hours. Deflate the dough by folding it over itself a few times in the bowl with greased hands. Cover the bowl tightly with plastic wrap and refrigerate the dough overnight, or for anywhere from 6-24 hours, during which time it will continue to rise and may double in size again. To make loaves: grease two loaf pans. Remove the dough from the refrigerator and working quickly, divide the cold dough in half. On a greased work surface, pat each half into a square about the length on one side of your pans. Roll each half up tightly, pinching the seam together to create surface tension. Lay the dough in the pans, seam-side down. To make pull-apart rolls (my favorite): with a pastry scraper or large knife, cut the dough in half, then half again, and continue until you have pieces of dough about the size of golf balls. Take each ball in your hand and knead it lightly a few times to deflate it and redevelop the gluten. Form into a rough ball, pinching it together at the bottom to create surface tension. Lay each ball with the pinched side down in a buttered cake or springform pan so that they are close but not touching each other. Fill the entire pan in this way – you will probably need two, depending on their size. You can also bake these in brioche à tête pans or as individual rolls, but adjust baking time accordingly. Cover the pans with buttered plastic and allow the dough to rise at room temperature for 2-3 hours, or until doubled in size. Preheat the oven to 375F/190C. Mix together the egg and cream. Lightly brush each loaf with egg wash, taking care not to let the glaze dribble into the pan (it will impair the dough’s rise in the oven). Bake the loaves for about 30-40 minutes, until they’re well-browned, firm and lofty. Cool to room temperature on a rack, and consume or freeze within a day. Calling All Bloggers: Things to Eat Before You Die? From places to visit to films to see to books to read, lists of things to do ‘before you die’ are certainly nothing new. One that I stumbled upon for the first time recently, however, was a list of the ‘50 things to eat before you die‘, compiled via a poll of BBC viewers and aired as a television show back in 2004 (which somehow I missed at the time). I was prepared for some oddities and questionable inclusions, but I wasn’t quite prepared for how flabbergasted I would actually be at the things chosen by the British public as the gastronomic highlights of their life: the list’s contents range from the absurdly general (fresh fish) to unflinchingly specific (Moreton Bay Bugs), and seem to contain several items for no other reason than to satisfy a need for something weird, e.g. guinea pig, alligator and reindeer. Vagueness seems to be its most pervasive flaw, with Chinese food, curry, pasta and sandwiches all having made the top twenty! And in case I were still looking for things to criticize, I could point out how culturally unbalanced the whole thing is, but it probably isn’t worth the effort (and in fact I doubt there are many of these lists that aren’t). It did get me thinking, however. Realizing that I have so far managed 44 of these 50 (can you guess what I haven’t eaten? answers are at the bottom! ), I then started to imagine what would be on my list, if I were to make one based on my experience, and from there it was only natural to start wondering what would be on other food-minded people’s lists. And as the curiosity grew, an idea took shape. What if I tried to actually compile a list, a bigger, better list, and one that is far more trustworthy and relevant for those of us who spend inordinate amounts of our time pondering, planning, preparing, reading about and traveling in search of food; a list as long as it needs to be, and as diverse in terms of geography and cultural preference as possible? And more importantly, where could I find enough passionate, well-traveled foodies to flesh out this list with their infallible good taste and culinary expertise? Why, in the food blogosphere, of course! I am therefore announcing the creation of a ‘joint project’ (I know memes have gotten a little tiresome to many bloggers – yes, including me! – which is why I’m not calling it one 😉 to create a list of food bloggers’ top picks for things you’ve eaten and think that everyone should eat at least once before they die. Think of it as kind of a global food guide, which can enrich and inform our travels and perhaps even clue us into things closer to home that we’ve somehow overlooked. And although it will probably be too long for any one person to dream of completing, I hope it will give us all some small inkling of how many more edible treasures there still are out there, and how much there still is to experience. Here are my general guidelines. I’m restricting contributions to five items per blogger, which is hard, I know! But this will keep the list semi-manageable in length and will force you to really think hard about what your absolute top picks would be. You’re welcome to be as general or as pin-sharp as you like, referring to specific dishes, restaurants, ingredients, products or preparations (although I think entire cuisines are a bit too general…), but they should definitely be things you know and love and couldn’t imagine not having tasted. A sentence or two about your history with this food and why it means so much to you would also be great, and an item or two that is local to you, your cuisine or a place you have lived will help maintain a nice geographical diversity. Oh, and although I really welcome contributions from bloggers all over the world, I’m asking for all contributions to be in English to keep the list coherent. I’m envisioning the contribution process to be passed along like a normal meme, which is why I’m tagging five people to start, but feel free to participate even if you haven’t yet been tagged. And if you want to participate but don’t feel like devoting an entire post to it, you’re welcome to do that too – just whatever you do, drop me an email (my address is in the ‘about’ section in the sidebar) or a comment on this post with your five foods or your permalink and I’ll add your choices to a (hopefully) ever-growing list as they come in. I’ve also added a link to this post in the top right-hand corner, so you can easily come back and check on new additions! To get you started, here are some food-for-thought questions. What are some of your most treasured food memories? Where have you had a dish or a meal beyond compare? Where have you traveled and been bowled over by the cuisine? What foods could you absolutely not live without? p.s. The things on the BBC list I haven’t tried are: Moreton Bay Bugs, alligator, guinea pig (though I had the chance in Peru… but chickened out! ), shark, Australian meat pie and durian. What about you? p.p.s. Jeanne just reminded me of another, slightly more, um, sophisticated list published by the Guardian last year. I’ll bet not many score as highly on this list! Make sure to click through to each contributor’s post to see full descriptions, photos, etc! If you don’t yet know about my love affair with jerk, just read here. Really one of the greatest (and most painful, but somehow that only added to it) culinary experiences of my life. I have tasted a lot of great ice cream in my day, but I don’t think any has made me stop eating halfway through because I couldn’t bear the thought of finishing it and having none left! Luckily I got over it and licked the cup clean, but I’d probably sell my soul if that meant I could have it regularly. To the uninitiated it’s a smelly massacre. To the converted, those stubby pink tails are good enough to balance out a significant number of life’s unpleasantries, and certainly worth the fatty, fishy mess and sore fingers that result from peeling so many of them. I like thin-crust pizza as much as anyone, but when push comes to shove, my heart will always belong to Zachary’s. This thick, stuffed ‘Chicago-style’ pizza, the pride and joy of my original hometown, has an unusually crisp, flaky bottom crust, a pillow of cheeses and other fillings sitting below a trademark second crust, and a layer of thick, chunky tomato sauce on top of that perfumed with just the right amount of garlic and herbs. I haven’t had one in years, but I can still taste them like I ate one for breakfast. 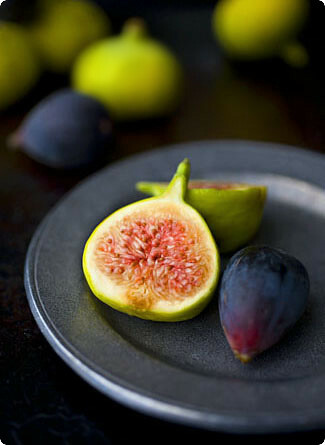 I’ve always liked figs and been fascinated with their color, shape and texture, but I never really got what all the fuss was about eating them raw until I tasted one, bursting with ripeness, straight off the tree. It was the sweetest fruit I have ever eaten, dripping with thick juice that tasted almost like pure honey. Luscious may be one of the world’s most hackneyed descriptors, but it’s the only word I could possibly use here. and one more I’ll let you read on his site! 458. Thai Chicken Salad from East Street Cafe in Washington D.C.
1321. Lunch at Hide Sushi, in West L.A.
1522. Escargot from The Prime Rib, Washington, D.C. I love coming back home. Apart from my family being here, the weather is better (at least in summer), the landscape more beautiful, there are always plenty of hungry mouths to feed and a stack of new cookbooks waiting to inspire me. This trip has been even more pleasurable than usual thanks to my expanding network of foodblogging friends, wonderful people who have taken the time to share a delicious meal and some lively conversation with me. I reconnected with the über-talented Molly and was suitably charmed by her man Brandon over a leisurely dinner of crabcakes and mixed pickles; I had the honor of sharing my first Tom Douglas meal with the gracious and brilliant Heather (who is, as far as I know, the food-blogosphere’s only former news anchor and documentary filmmaker), and I even managed to squeeze a bayside lunch with with the lovely Tea who by coincidence was in the Seattle area visiting family at the same time as me. As great as all these homecoming treats have been, however, I have to admit that the highlight of the trip so far as been none of these. With all due respect and apologies to bloggers and family alike, the truth of the matter is that nothing – and I really mean nothing – on this trip can top the fruit. Scotland has many things going for it: kilts, for one thing, whisky for another, and let’s not forget haggis, but one thing I have a very hard time living without is really good fruit. Of course there are supermarkets that carry offerings as varied as anywhere else – peaches from Italy, plums from France, cherries from Turkey – but it only takes a closer look for the painful differences to emerge. Most things are heavily packaged, transported from far, far away and sold criminally under-ripe. Organic pickings are slim. Things don’t vary too much with the seasons, either; strawberries, for example, are always on the shelves, sharing space with rock-hard nectarines and blueberries from Antarctica that cost half a month’s rent. Other things I used to consider staples are simply unavailable (for example, a six-month old quest to track down organic red grapes has proven fruitless, if you’ll excuse the pun). And even the one bastion of hope, the weekly Edinburgh farmer’s market, is pretty paltry, with its two or three produce stands and a commitment to only sell what is farmed locally, which with this being Scotland means three seasons of root vegetables and a few lettuce leaves and raspberries in summer. But then I come home to Washington, to the height of the Northwest harvest. Instead of plastic-entombed fruit-facsimiles there are mountains of fuzzy yellow peaches and blushing Rainier cherries; hand-picked buckets of gigantic inky blackberries still warm from the sun, and crates of the sweetest, most fragrant white nectarines I have ever tasted. My first trip to the market is like that scene in The Wizard of Oz, when suddenly everything changes from black and white to Technicolor. I’m intoxicated by the colors, the perfumes, the sheer abundance; I wander the aisles in a kind of trance, frequently stopping to sniff, caress or simply stare. As you can imagine, I get some funny looks. And then of course there’s the cooking, which thanks to such produce is almost effortless. 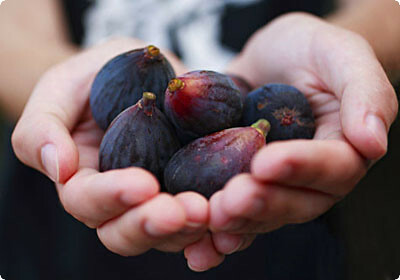 I see things, such as these figs, and before I even have them in my basket I know what I want to do with them. Some goat cheese for tang, some cream for richness, some honey for sweetness, and a short nap in a hot oven to caramelize and concentrate the flavors; this is the kind of cooking I dream about all year. The Northwest may never be able to compete with Scotland in the whisky and male-attire departments, but all this exquisite fruit is exerting a pretty strong tractor beam on my poor expat soul. And as much as I love my family, I suspect that if I am ever going to relocate back here for good, the quality of market offerings will have more than a little to do with it. Preheat the oven to 350F/175C. Put the goat cheese and sugar in a medium bowl and whisk until smooth. Add the eggs, one at a time, incorporating each one before adding the next. Whisk in the honey and cream. Scrape the seeds from the vanilla bean and add them too. Whisk in the flour just until no lumps remain. At this point the batter can be refrigerated for up to 24 hours (and indeed, some people say it improves with age). Halve the figs lengthwise. 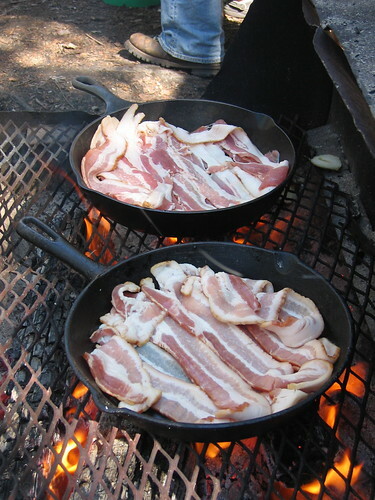 Grease a shallow baking dish or cast-iron skillet (approx 10in/25cm diameter) with butter and pour in the batter. 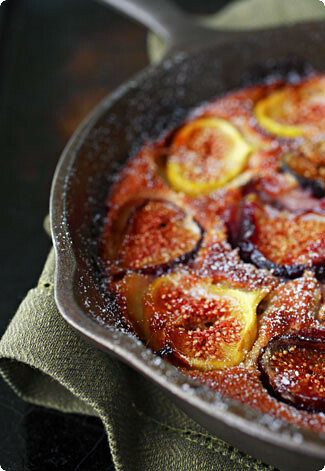 Pour some sugar into a shallow bowl and dip the figs, cut-side down, into the sugar. Arrange them, cut-side up, in the batter. Bake until the top is golden brown and a toothpick inserted in the center comes out clean, about 30-40 minutes (this will depend on how large your baking dish is). Allow to cool for at least 20 minutes before serving.